I’ve recently been striving to find that perfect balance of accomplishing my professional, emotional, and personal goals, all while maintaining a level of stability and calm persona. While trying to keep everything on track I found it was easier than it should be to find myself being distracted or not putting in 100% of my effort. I would sprinkle my all here and there but was not fully committing myself to everything at all times. It is understood that being completely attentive to each issue that presents itself in life won’t always happen; we’re human and mistakes occur. All in all, what I want to accomplish in each aspect of my life is comprised of a simpler path than I have imagined. As Charles Bukowski once said, “My ambition is handicapped by laziness.” Now, this is not to say that I am a lazy person rather, that in the past few months life has just been so life-y and I have let it begin to get the best of me. Pointing to yesterday’s post, one of the Seven Deadly Sins of Speaking that I was applying to my thoughts was excuses. Projects and attendance at events were delayed because it was “not the right time.” But that’s just a whole lot of nonsense. 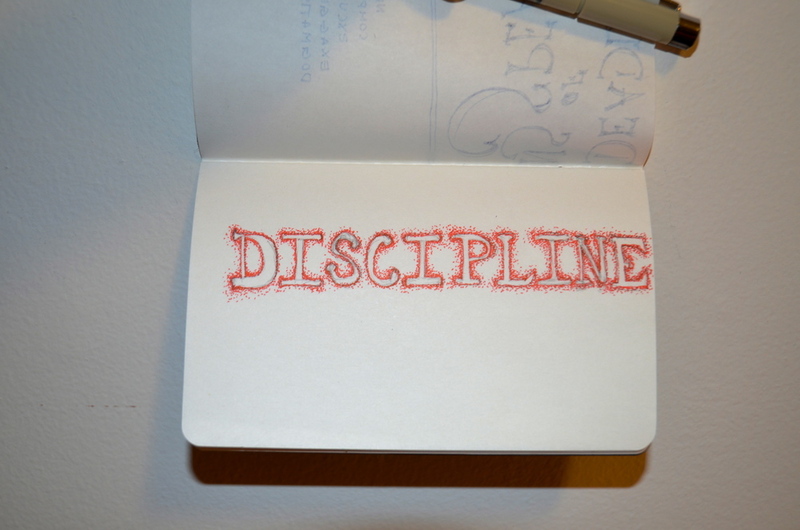 It is very much a realistic idea to accomplish all I set out to do and my boyfriend has been that voice of support in reminding me that it all comes down to discipline. It’s as simple as that and I could not agree more with him. By continually pushing yourself and taking control of all situations you will reach your full potential. We create these roadblocks for ourselves that are completely unnecessary. My Grandmother said to me the other night that, “Being alone with your mind in the dark is one of the most dangerous things.” We can too easily bring doubt and negativity where it does not belong. Everyday I remind myself to be conscious of my actions but most importantly what will result from them. Will my actions bring negativity or positivity to my life? Taking the easy route in my experience has generally brought nothing but plateaus that have yet to be conquered. Everything is a learning experience and it’s best to not feel blue when things do not go the way we intend. Instead, learn from the actions and results to create a path which leads to the desired outcome. Control your actions and thoughts for your own betterment, no one else will do this for you. I chose to employ a pointilist style for the lettering of this piece because deep down inside I just love a good pun. It took a decent amount of time for what is being considered a “quick sketch” because each letter was formed by placing a dot one at a time to create the outline. This is a technique which I greatly enjoy producing and experimenting with - next time I’ll be mindful to maybe not use this style for a project right after an upper body intensive yoga class. Or perhaps therein lies the challenge!